Capabilities - ZT | Zippertubing Co.
Have a particular need? Zippertubing® has the capabilities to do just about anything! We have the ability to manufacture targeted custom solutions ranging from one-off products to large-scale production for just about any industry. Zippertubing® offers dozens of fabrics, films, shielding materials, and numerous closure options to chose from. Any of these materials can be combined together using our automated CNC sewing machines and industrial robots, in conjunction with our highly skilled textile production team. The team at Zippertubing uses the best machinary to build our products. 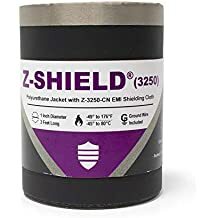 If you've got EMI, heat, chafing or virtually any other problem with your electrical wiring or components, The Zippertubing Company has the resources and team to help solve it. Customers across a range of industries from power & utilities to commercial electronics, and from medical to industrial robotics take advantage of Zippertubing’s vast manufacturing capabilities. Our ability to offer you a wide arrangement of capabilities provide you endless possibilities! Whether you are in need of thousands of feet, or just a few Zippertubing® is the perfect resource for you and your company. Because of the large array of capabilities, our Engineering team will provide you the very best in one-off free prototypes for you or your company to try on your project. 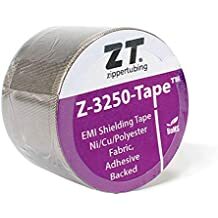 From sewing to heat sealing, and from automated die cutting to bulk order packaging, The Zippertubing® Company has you covered!